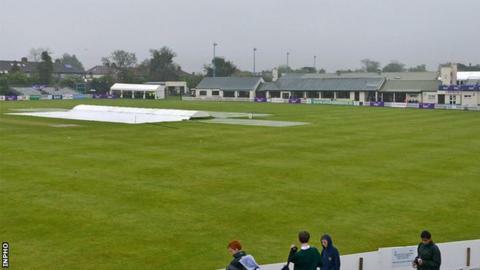 The one-day international between Ireland and Sri Lanka at Clontarf on Thursday was abandoned because of persistent rain. No play was possible at the Dublin venue in the second and final ODI between the teams this week. "It's disappointing we didn't get any cricket played but we're not in control of the weather," said Ireland captain William Porterfield. Sri Lanka eased to a 79-run win in Tuesday's first game.